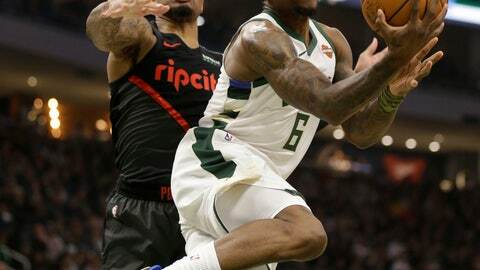 MILWAUKEE (AP) — Giannis Antetokounmpo figured the Portland Trail Blazers might be tired on the second night of a back-to-back. He was right. Milwaukee led 31-20 after one quarter and extended it to 72-50 at the half. The Bucks led 109-79 entering the final period. The 43-point margin of victory was the Bucks’ largest since defeating Charlotte by 50 point, 137-87, on Jan. 10, 2000. Milwaukee is 9-1 in the new Fiserv Forum, the best start at home since 1990-91, when the team won its first 18 home games. The Bucks’ 13-4 record is the best 17-game start to a season since 1980-81, which was also 13-4.